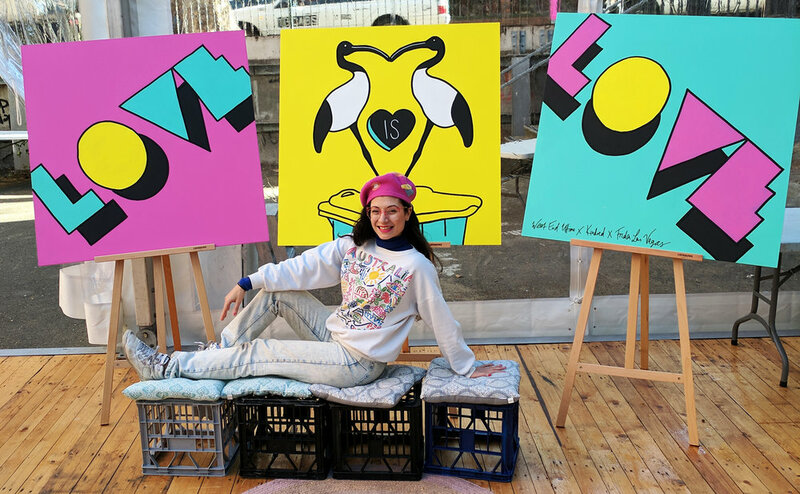 I was stoked to be Artist in Residence at the Designers & Fleas Market at the University of Technology Sydney (UTS), live-painting my 'Love Is Love' artworks in support of marriage equality in Australia - something I'm MEGA passionate about. Throughout the event, the public contributed to the paintings with some picking up a paintbrush for the first time since childhood - amazing! Bin Chickens 'n' Marriage Equality 4 Eva!